We’re always lurking around the internet, looking for awesome Simmers and the great content that they create for their blogs and sites. 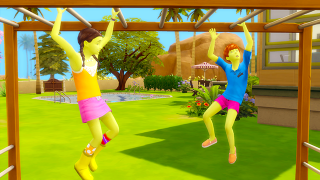 This time around, we talked with EmilysSims, who posts cool, creative screenshots of her gameplay to Tumblr. My name is Emily, and I'm a 21 year old student from England. I guess I'm a little unconventional. I'm a trainee wrestler as well as a fashion photographer, and avid gamer. 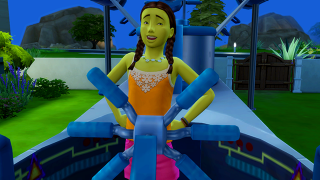 I've been playing The Sims since the first game – I think it was released when I was around 6! Since then I was hooked, and I've never looked back! So tell us, how did you get in to doing photo stories? I've always loved writing. Whether it was in English class, or just sat at home with my head in a notepad. Around 3 or 4 years ago I discovered Simblr (Tumblr for The Sims) and I really enjoyed reading everybody else's photo stories, so I decided to start doing my own! What’s your process for putting a photo story together? Sometimes it depends on how lazy I'm being. If I'm feeling adventurous, I'll set up a plan before I go into the game and try and get the photographs for the story that I've decided. But lately I've just been really enjoying playing through The Sims 4, so I've been screenshotting anything that happens in my game, editing them, and adding them to my blog. Reading other people's work is big inspiration. There are some really talented story tellers on Simblr. Sometimes it's things that are going on in my life, or to somebody that I know. I find writing about familiar things is quite therapeutic. I'm also a huge soap opera fan, so that drama is always a big influence on my stories. Do you have a favorite snack or drink for when you’re making them? I think it depends what time I'm doing it, but as chocolate is my ultimate favorite food, I'd have to say that. Where should people go to see more of your creations? Emilyssims.tumblr.com is where you can go to check out my Sims world!